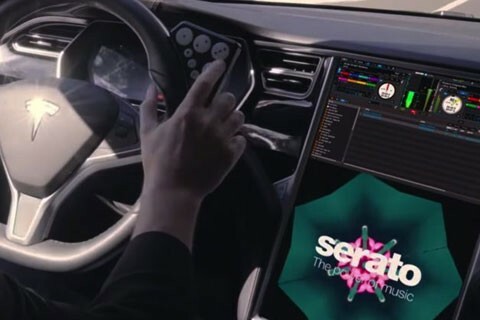 “The release of the latest Tesla firmware update includes full Serato DJ Pro integration, free for all Tesla vehicles. This integration allows you to DJ literally anywhere you go. Your only restriction is your creativity. As well as Serato DJ Pro utilising the fully functional Tesla touch-screen, drivers are now able to attach ergonomic Novation-slicers to the steering-wheel to trigger cue points, loops and flip tracks – full control on the go. Use Autopilot or switch to Scratch Live mode to DJ and drive at the same time.